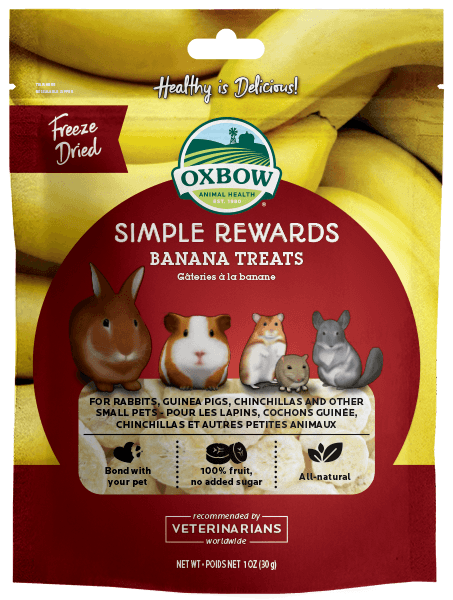 Sweet and wholesome, blended to perfection! 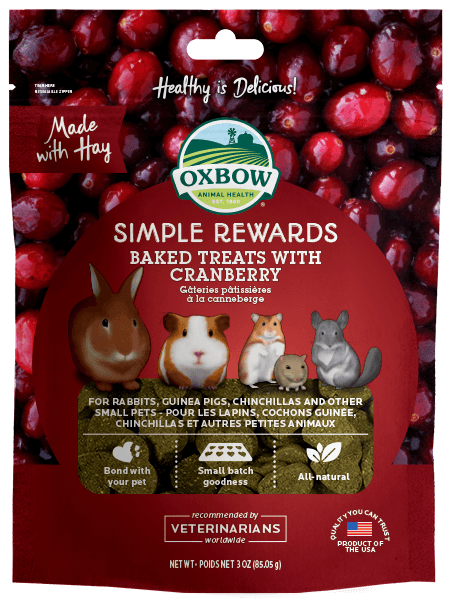 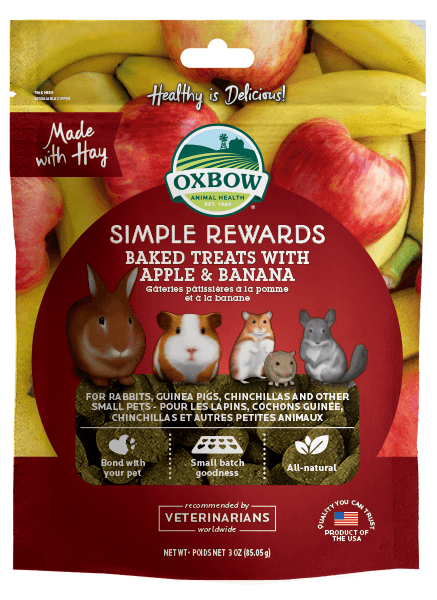 Simple Rewards Baked Treats with Apple & Banana combine the irresistible flavors of real apple and banana with wholesome, high fiber Timothy hay to create a delicious treat rabbits, guinea pigs, chinchillas and other small pets love. 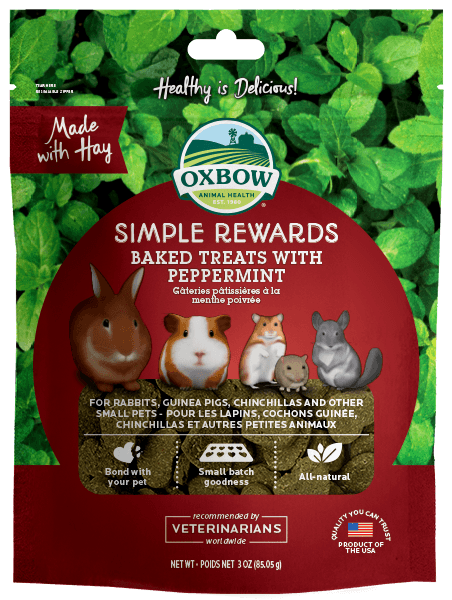 Feed Oxbow treats to add variety and enrichment to your pet’s diet. 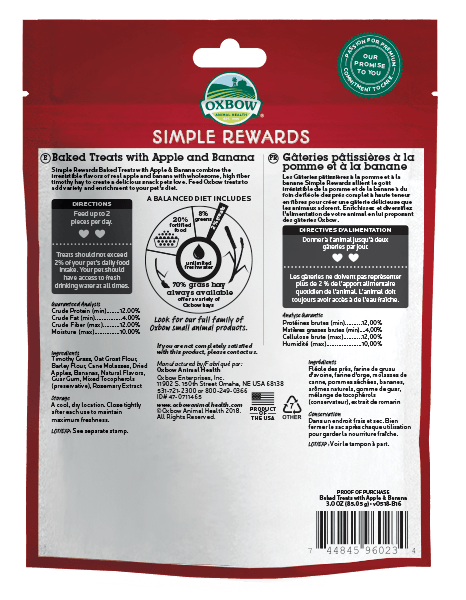 Feed 1-2 pieces per day. 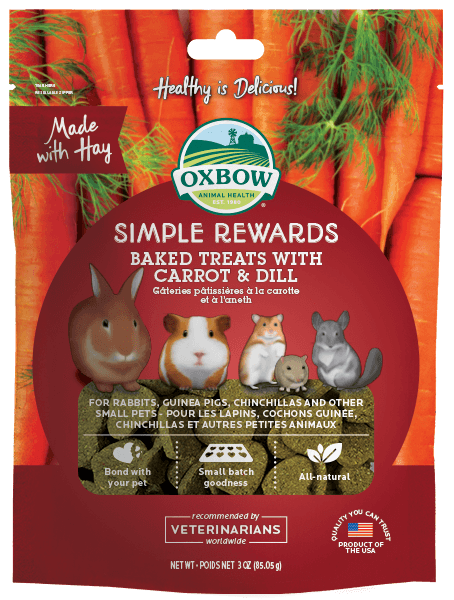 Treats should not exceed 3% of your pet’s daily food intake. 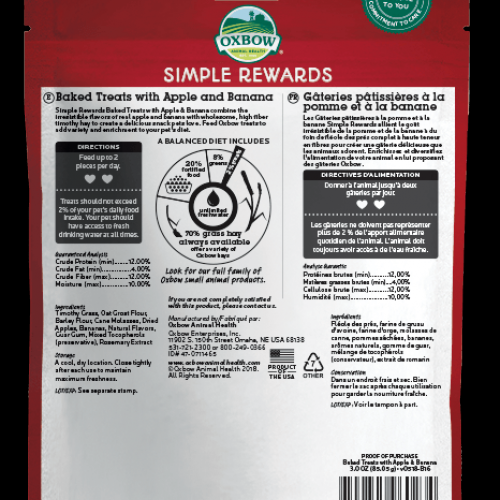 Your pet should have access to fresh drinking water at all times.